Perfect for the top of the dresser or a nightstand, our solid wood men's valet will make a great gift for any occasion! 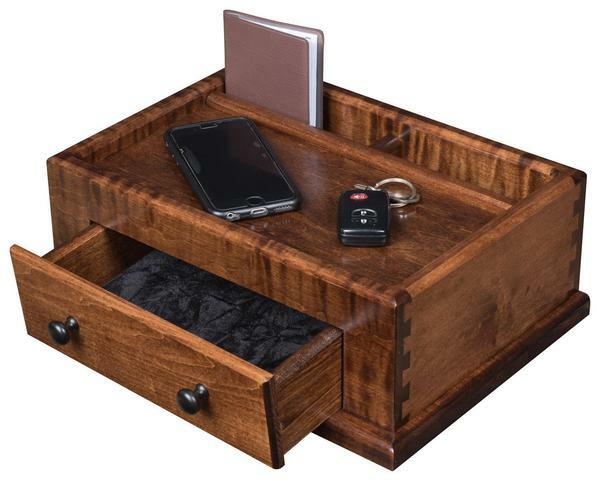 Crafted from solid hardwood, there is one large drawer, a top catch-all car key and wallet space and a large space in the back to store you phone or electronic device. There is plenty of room to hold everything you have from your pockets at the end of the day! Give us a call at 866-272-6773 with any questions that you may have on this product! Our Amish Furniture Specialists will be happy to assist you!